Oregon pot shops are no longer transcribing customer information at the door without first asking for their permission after a change in state law. Oregon pot shops are no longer transcribing customer information at the door without first asking customers for their permission, because of a change in state law. I think it’s appropriate under the circumstances. The Governor said she fears the Trump Administration could make good on its threat of a “higher level of federal engagement” when it comes to legalized pot. Brown said in March that she is willing to “go to bat” for Oregon’s cannabis industry and that she would “respond appropriately:” should the Trump White House take any action. The Oregon Liquor Control Commission in April sent notices to shops about the rule change. The stores have until May 18 to delete databases of customer information collected without customers’ approval. Many recreational cannabis stores have been keeping customer names, birthdates, and purchase histories on file, according to Sam Terrall, manager of Serra in Eugene. He said the store did so for marketing and customer service purposes, using the information to know what products shoppers may want. The shops had been taking down the info from driver’s licenses or official iD that customers display in order to confirm their age and gain admission to a shop. Customers can now opt in or volunteer their information to be part of a loyalty program. Oregon lawmakers said they wanted to make sure pot customers weren’t unknowingly being entered into databases that federal law enforcement might be able to access at some point. Legislators “wanted to protect the customers and employees from federal action” with a possible Trump Administration crackdown on the horizon, according to Terrall. 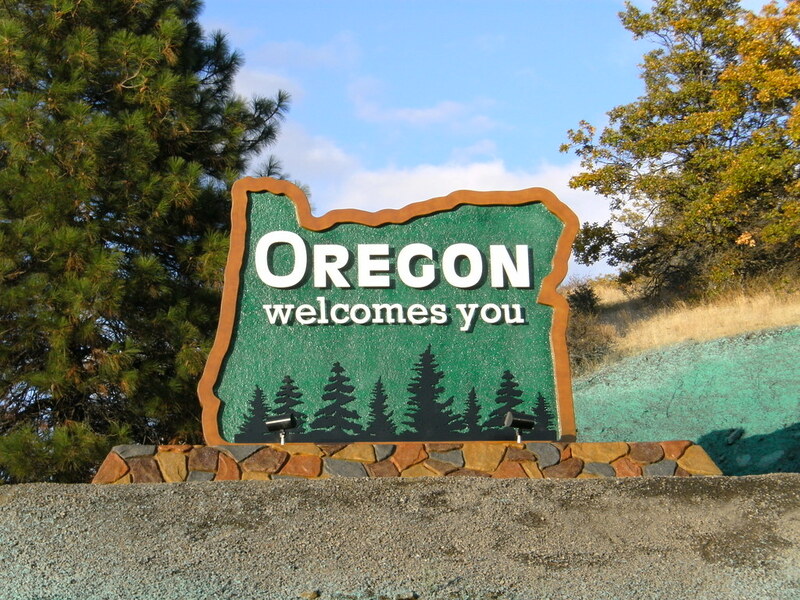 The new law helps get rid of some persistent myths about cannabis legalization in Oregon, according to Mark Pettinger, spokesman for the Oregon Liquor Control Commission. One of the biggest myths was the idea that the state required pot shops to keep records of the names and other identifying information about customers. There’s never been a requirement by our agency to collect that data. Pettinger added that Oregon hasn’t built its own database of cannabis customers. Pettinger said that the intent of the law is to keep the federal government from collecting a list of cannabis customers in Oregon. “It provides some level of consumer protection,” he said. While the law strengthens shoppers’ ability to buy weed anonymously, possibly removing some of the stigmas of going to a cannabis store, it could also create a problem for cannabis sellers, according to Eugene OG Inventory Manager Alex Traylor. Future shopping visits to weed stores will be “more relaxed” for customers since they don’t have to worry about their names being put onto a list, said Serra receptionist Teniya Rocha. There have been a couple of times when people didn’t want to give me their ID at all.